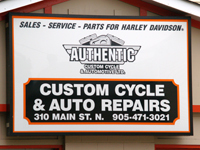 Authentic Custom Cycle & Automotive specializes in good old fashion customer service for your car, light truck and motorcycle in the Markham and Toronto area. We have been in business since 1992 and at this location since 2000. You can't help but notice the improvements we continuously make to the shop and the services we provide our customers. We take great pride in our honest approach to sales and service. 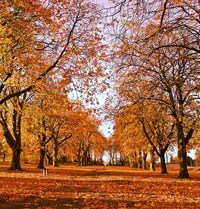 All work begins only after you have been given our estimate and authorized it. We will not recommend work that is not needed, and we will gladly show you which repairs are necessary and which ones can be done at a later time. We will even show you the old parts and explain why they needed to be replaced.